What Can We Expect from Fortnite Upcoming V8.20 Content Update? Epic Games announced that a new Fortnite: Battle Royale v8.20 content update is coming tomorrow. Once the patch description goes online at around 7 am tomorrow, the Fortnite player will only know all the changes in the v8.20 content update. There will be no downloads or downtime for this update. What can we expect from the new patch content update? It looks like that a new explosive weapon called Explosive Bow will arrive tomorrow. So far, there is very little information about the explosion bow. Everything we know about this new weapon is based on leaks. According to reports, this weapon is a legendary weapon, using shotgun shells as ammo, with a reload time of 1.296 seconds. Its damage is 110 and the headshot damage is unknown. But so far, this is an educated guess, it says it won't have a headshot multiple because it could be an explosive weapon. Some statistics show that shooting with an explosion bow can cause knockback and damage in the area around the landing point. In addition, the addition of Explosive Bow may result in the removal of another weapon, as this is a shift that Epic will usually maintain to balance the game's loot pool. Epic is nerfing The Baller to the ground. Last week's v8.20 update removed its damage feature, and Epic announced that more nerfs will appear in the next update. From the start of the update, players will be able to shoot The Baller's driver through the glass and directly inflict damage on them without forcing them to leave the vehicle, destroy it or hit them with Boogie Bomb. This change is coming since Epic is not satisfied with "current use of Ballers, especially in the later stages of the game." Players should expect to fix very few bugs in the v8.20 content update. The v8.20 update brought a lot of issues, and Epic was forced to release a second patch in two days to fix a lot of glitches. This week's update is unlikely to bring more because of the many bugs that have been fixed. What players will surely see fixed inside the patch notes, in line with the Fortnite Community Issues board, are bugs associated with trapping placement near stairs and structure editing when an ally is nearby. 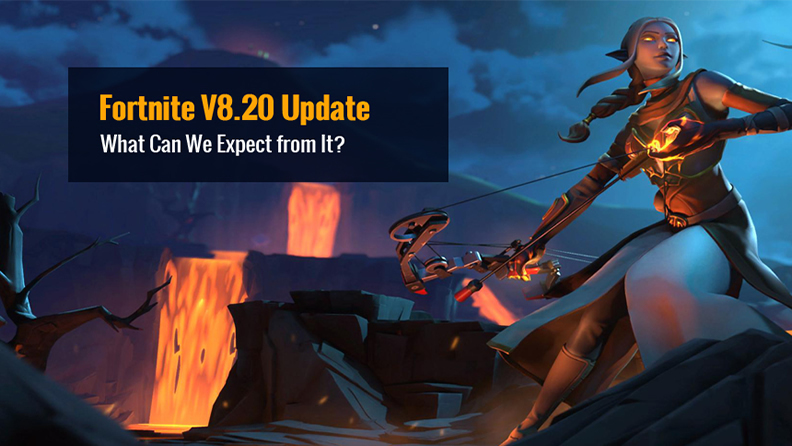 We will update this page in time when the new V8.20 Content Update arrives. About a week before, two instant death spot has found in Fortnite that results in an instant elimination simply by walking through it - Fork Knife and The Block. 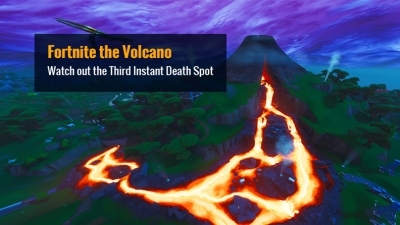 Before the developers have not yet explained this situation, players have spotted at a new area in the Volcano which seems like a third instant death spot. 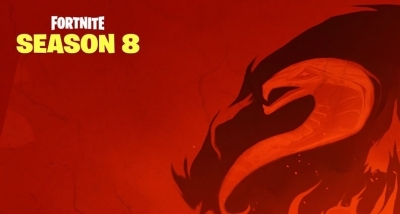 There only a few days away from the arrival of Fortnite season 8, during this period, Fortnite Twitter account is also constantly giving hints for season 8 to players, their first teaser shows what's clearly a pirate hook hand, implying a pirate skin is coming to the game and possibly, the new theme may centre around fantasy piracy. A few days after the version 8.11 update in Fortnite, Season 8 ushered in the challenge of the week 4, some players said this week's challenges are perhaps the least fascinating we've seen in weeks, or maybe even months. However, a glass orb named the "Baller," just got its initial challenge - use the Baller in different matches, so it is time to know how to complete this challenge. 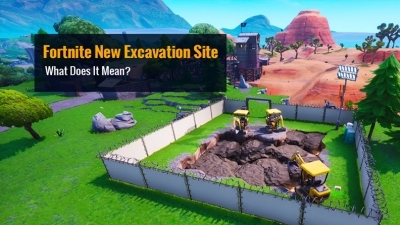 New Excavation Site Appeared on Fortnite's Map, What Does It Mean? At some point this week in Fortnite, Epic sneaked a new dig site onto the battle royale's map. If you would like to know what dig site looks like, head to the northwest of the Paradise Palms area. The excavation site seems to be full of dirt, just like any mine or quarry around the map. However, after careful observation, it appears that the whole is not full of dirt, but rocks.